GTX was awarded a contract from the U.S. Air Force with the orders to be able to monitor the location and movement of both human and non-human assets, in difficult situations due to their remote locations or lack of conventional cellular coverage. This will require GTX to provide devices that can transmit data through RF technology, report latitude and longitude coordinates every second, and encrypt the data. P.E.T.S. Asset Tracker – Used by the US Military The system is a GPS-and-RF personnel, vehicle and asset tracking solution designed to provide ground situational awareness and real-time surveillance of all personnel and equipment traveling within a designated area, ranging from 20 – 200+ square-miles, based on hardware deployment. GTX Corp (OTCBB: GTXO) (“the Company”), an Internet of Things (IoT) solutions provider in the wearable location and wandering assistive GPS technology business, received a new contract from Edwards Air Force Base (AFB) for additional units of its Personnel, Equipment Tracking System (P.E.T.S. ), which is a lightweight, mobile, non-cellular, encrypted GPS technology platform designed to track personnel and equipment. This highly versatile and scalable military-grade tagging, tracking and locating (TTL) GPS platform was specifically developed by GTX Corp for large-scale installations and military bases that need to monitor the location and movement of both human and non-human assets, but, due to their remote locations or lack of conventional cellular coverage, require devices that can transmit data through RF technology, report latitude and longitude coordinates every second, and encrypt the data. The Company’s proprietary GPS transmitters, which are about the size of a garage door opener, are enclosed in military-grade, water-resistant encasements and weigh less than eight ounces. 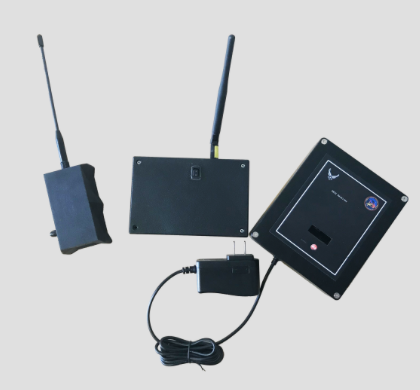 The system also consists of repeaters with 12 volt batteries and solar panels to achieve months of battery life, which are strategically installed throughout the base, and base station receivers that collect the encrypted data for display. Per the terms of the contract, GTX Corp is responsible for the manufacturing, installation and ongoing maintenance of the P.E.T.S. platform. The Company will begin delivering devices this month and expects to complete delivery by October 2018. All of the hardware, software and firmware is manufactured and coded by the Company at its headquarters in Los Angeles, California. Patrick Bertagna, GTX Corp CEO, commented that it is a true honor to support the military and to be entrusted with developing GPS technology solutions that, at their core, are designed to help save lives. Edwards AFB conducts live ammunitions testing; hence, knowing where every person and asset are on the base in real-time is of vital importance. Coming on the heels of signing an agreement with KGH, they are deeply committed to pursuing and growing this channel of government business and currently in discussion with several other agencies. On the non-government side, GTX expects to commercially launch several new products and open new markets this year, including a new GPS tracking and digital identification solution for pets and a weapons tracker geared for law enforcement and hunters.